Replace your old, dull, or worn out interior instrument cluster lighting with these LED Lights. They are instrument cluster lights with new LEDs. They Shine Brighter while drawing less of a current from your power source. These LED lights are dimmable and also afford you the luxury off having a longer life expectancy. They fit 66-67 Dodge B body. This kit includes the correct amount your dash specifically requires. These lights include dash lights, right and left turn, high beams, and brake lights. Replace your old, dull, or worn out interior instrument cluster lighting with these LED Lights. 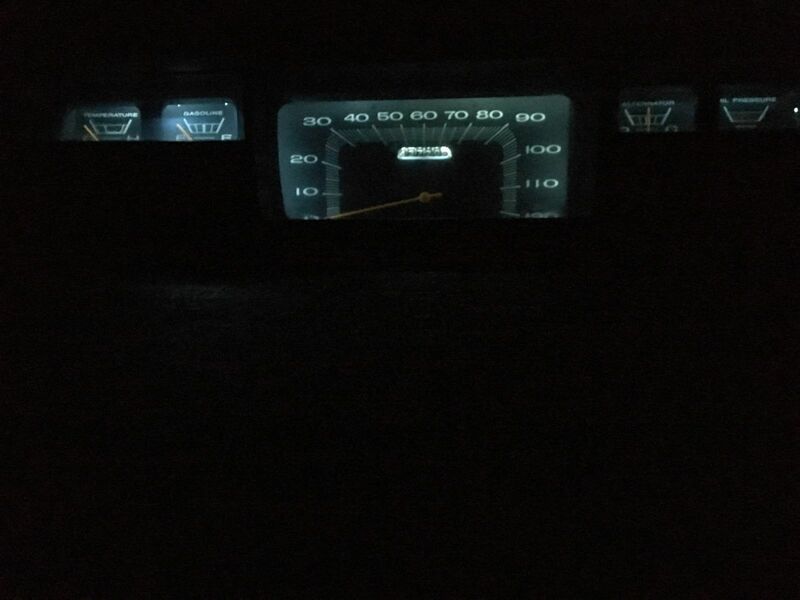 They are instrument cluster lights with new LEDs. They Shine Brighter while drawing less of a current from your power source. These LED lights are dimmable and also afford you the luxury off having a longer life expectancy. They fit 66-67 B body Plymouth. This kit includes the correct amount your dash specifically requires. These lights include dash lights, right and left turn, high beams, and brake lights. Replace your old, dull, or worn out interior instrument cluster lighting with these LED Lights. They are instrument cluster lights with new LEDs. They Shine Brighter while drawing less of a current from your power source. These LED lights are dimmable and also afford you the luxury off having a longer life expectancy. They fit 68-70 B body with rally dash. This kit includes the correct amount your dash specifically requires. These lights include dash lights, right and left turn, high beams, and brake lights. Replace your old, dull, or worn out interior instrument cluster lighting with these LED Lights. They are instrument cluster lights with new LEDs. They Shine Brighter while drawing less of a current from your power source. These LED lights are dimmable and also afford you the luxury off having a longer life expectancy. They fit 68-70 B body non rally standard dash. This kit includes the correct amount your dash specifically requires. These lights include dash lights, right and left turn, high beams, and brake lights. Replace your old, dull, or worn out interior instrument cluster lighting with these LED Lights. They are instrument cluster lights with new LEDs. They Shine Brighter while drawing less of a current from your power source. These LED lights are dimmable and also afford you the luxury off having a longer life expectancy. They fit 71-74 B body non rally-standard dash. This kit includes the correct amount your dash specifically requires. These lights include dash lights, right and left turn, high beams, and brake lights. Replace your old, dull, or worn out interior instrument cluster lighting with these LED Lights. They are instrument cluster lights with new LEDs. They Shine Brighter while drawing less of a current from your power source. These LED lights are dimmable and also afford you the luxury off having a longer life expectancy. They fit 71-74 B body rally dash. This kit includes the correct amount your dash specifically requires. These lights include dash lights, right and left turn, high beams, and brake lights.